Michigan might be the center of the auto industry, but it hasn't been a leader in plug-in vehicles. Heck, the state is still fighting against Tesla (even if is says it isn't). 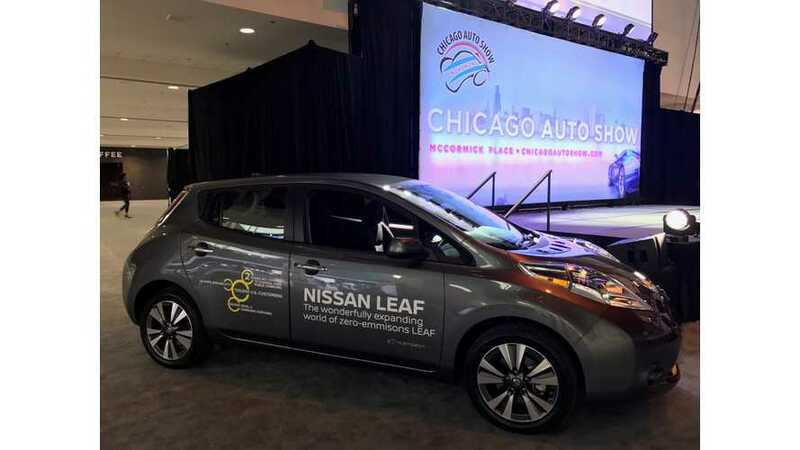 A new project announced at the Chicago Auto Show today want to change the EV story in Michigan and six other Midwestern states: Ohio, Indiana, Illinois, Wisconsin, Minnesota and North Dakota. Sorry, South Dakota. Midwest EVOLVE is going to try and get car shoppers in this relatively EV-free region of the country to test drive, learn about, and finally buy plug-in vehicles. There's a logical reason for this, said Lew Bartfield, CEO and president, American Lung Association of the Upper Midwest, during a presentation in Chicago. Aside from the logical health benefits of cleaner air that EVs bring, this part of the country hasn't gotten the attention it deserves, he said. "The Midwest has been overlooked as a market for electric vehicles," he said. The solution is to let people test drive these plug-in cars and see for themselves how they work. "Butts on seats, that's our phrase," he said. "Butts on seats." Over the next three years, Midwest EVOLVE will do over 25 "large scale" ride and drive events and over 50 smaller ones. It will also participate in a lot of events to do general customer outreach, including the 2018 Detroit and Chicago Auto Shows, Milwaukee Summerfest, and National Drive Electric Week, which will happen later this year. Midwest EVOLVE is supported with vehicles for the ride-and-drives, and in other in-kind ways, by Ford, Nissan and GM. The US Department of Energy is also on board. Oh, and yes, the all-caps EVOLVE does stand for something. In this case, it's Electric Vehicle Opportunities: Learning, eVents, Experience. Slightly convoluted, but there you have it.